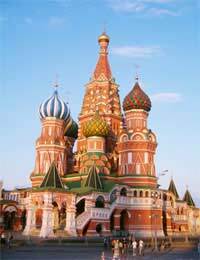 Russia was once closed to most of the western world, behind the infamous ‘Iron Curtain’. However, events in the last two decades have seen Russia and her government become more accessible to the rest of the world. Tourists are rediscovering the cultural and architectural delights of Russian cities such as Moscow and St. Petersburg. Foreign business links with Russia are also on the increase. So if you’re travelling to Russia for business or pleasure, this article will provide you with the necessary basic information on the proper social etiquette in Russia, ensuring a smooth and enjoyable experience. When meeting a Russian counterpart for the first time, it is considered good etiquette to maintain strong eye contact whilst being addressed – but try not to look as though you are staring! Looking away could be regarded as apathy or indifference, and may be interpreted as rude. In more formal circumstances, you can greet both men and women with a strong customary handshake whilst maintaining eye contact. Men and women tend to have more gentle handshakes, and men should wait for the woman to offer her hand first. Also, quite often Russians will introduce each other through a third person. In more relaxed circumstances, friends or family will kiss and hug. However, if you’re not sure just how familiar your counterpart is with you, wait until they initiate the greeting to avoid any social mishaps! If invited to be seated with Russians, try not to sit with your legs akimbo, or your ankle resting on one knee. If invited into a Russian home, don’t be surprised if you’re asked to remove your shoes before you enter the house. You should be aware that Russians can be quite conservative when it comes to public displays of affection, so best to err on the side of caution and leave such displays until you are in private, behind closed doors. Similarly, men should avoid making direct and prolonged eye contact with single women that they haven’t been introduced to. You should try to maintain good posture when you’re out and about. Slouching and dawdling can be considered lazy, and standing with your hands in your pockets is still regarded as bad social etiquette. Chewing gum in public, particularly with your mouth open, is also regarded as quite rude. If you are travelling to Russia, it is important that you’re aware that Russians tend to dress quite conservatively, and you should follow suit. Women should avoid low cut tops and short skirts, and men should only opt for shorts in relaxed social situations. When visiting a Russian religious landmark or building, you should always dress accordingly. Again, this means conservatively, with men wearing trousers and a shirt and women opting for trousers, a long skirt and covering up elsewhere. Jeans are not generally acceptable, so opt for smarter alternatives. In some cases, women will also wear a headscarf, whereas men are expected to remove their hats as a sign of respect. When entering any building, it is usual to remove your coat and hang it up if you are sticking around. When travelling in Russia, there are a few extra travel etiquette rules that you can adhere to. The thumbs-up sign is acceptable to communicate that everything is going well. You may be surprised to learn that whistling indoors is a social faux-pas, as some Russians believe in the superstition that indoor whistling results in poor financial performance. Even whistling during applause or as heckling (also not advised!) is not acceptable. The majority of social etiquette in Russia falls in line with much of the Western world’s practices. However, armed with these few basic tips, you should be able to get along well when visiting Russia.